As part of our application for our fifth Green School Flag, LSP will be having an Action Day for Biodiversity on Thursday February 7th. 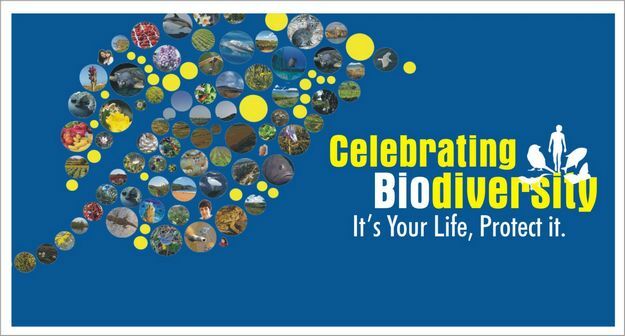 This whole school day will be dedicated to completing work on Biodiversity, Irish Biodiversity in particular. As part of that day we will be having a Biodiversity Parade. Each child in the school is being asked to dress up as an Irish Native Species (bird, mammal, underwater life, mini beast/flower/tree/plant etc). This could include a costume, a hairstyle, face painted etc. Their homework on Wednesday 6th will be to organise their ‘look’ for Thursday. Pupils from First to Sixth are asked to write two sentences explaining what they are dressed up as. If you would like to attend the parade it will be on in the halla at 9:00. We would just remind you all that under Child Protection Guidelines no photographs/recordings are permitted. ‘I am wearing a red t-shirt with black spots. (you could stick the black spots on with blu-tack so as not to damage the t-shirt, black and red ribbons in hair could also work as a ladybird) . I am a ladybird’. ‘I sprayed my hair gold and am wearing wings because I am a goldfinch. I like to eat at bird feeders in your garden’. etc etc. It can be as simple or as dramatic as you choose. We really would appreciate your help with this as it will help increase awareness of Native Irish Species and will also be lots of fun. We won’t be doing the crazy hat/hair/sock day later in the term, just in case there is anyone concerned that we will be looking for this kind of effort again later on in the term. We would also ask on that day that you make a big effort with waste free lunches. This is something that we always promote in school and would love if an extra special effort could be made on the day and perhaps serve as a reminder of the importance of this going forward. Please see poster on Green Schools Notice board/post on the school website if you want more information on this. Many thanks, The Green School Committee.